I am sure many of us know Bonnie Yap or seen her at one of those events that we attended. Well she is one of a well-known local photographer, a cold woman with a warm heart to help other especially the less fortune. Her first solo photo exhibition in 2014, The Jewel of the Artic was a success which raised RM79,000 for Assunta Hospital’s Social Welfare Outpatient Programme. 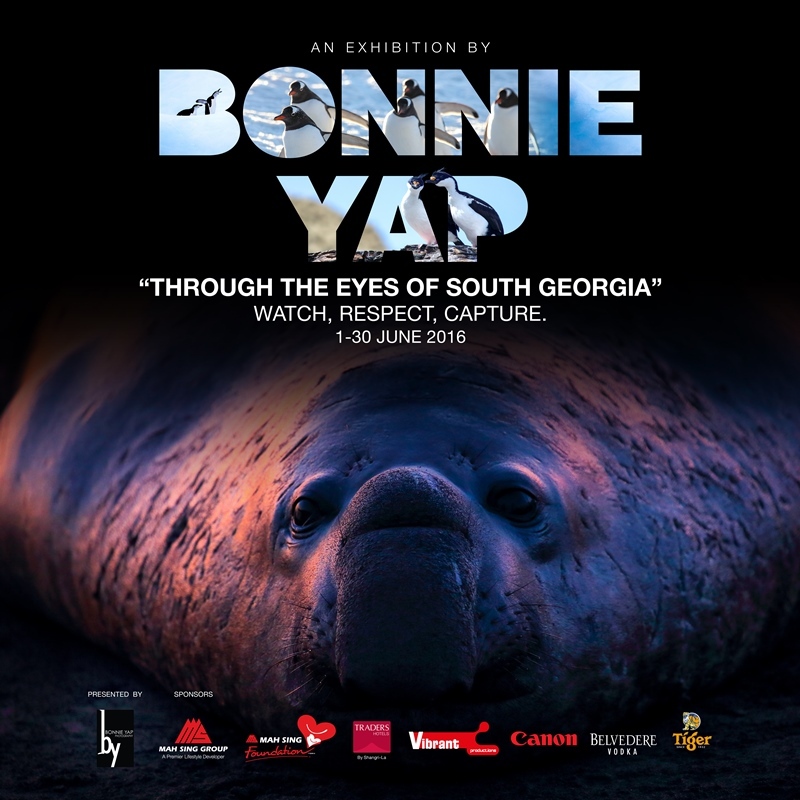 And this year, Bonnie Yap’s new exhibition entitled “Through the eyes of South Georgia” – Watch, Respect, Capture will be held at Traders Hotel Kuala Lumpur from 1st to 30th June 2016. 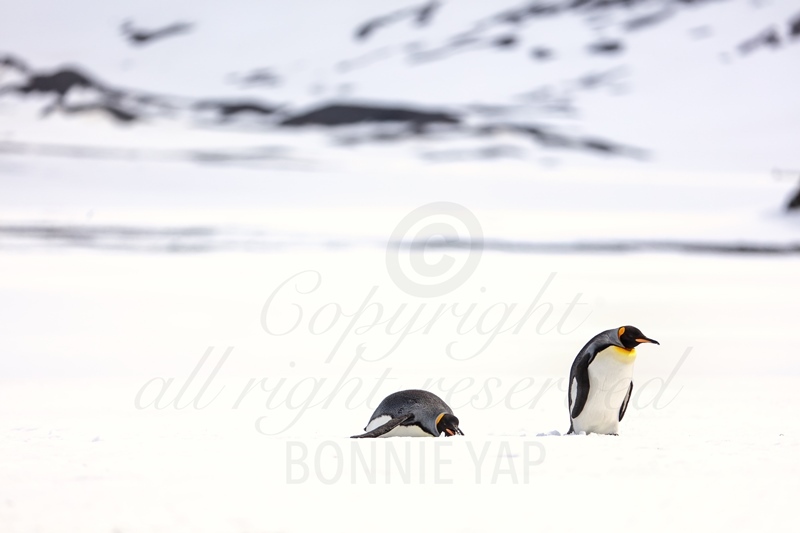 In conjunction with World Environment Day on 5 June, Bonnie will be exhibiting over 20 photographs from 1 to 30 June 2016 at In conjunction with World Environment Day on 5 June, Bonnie will be exhibiting over 20 photographs from 1 to 30 June 2016. Duli Yang Teramat Mulia Tuanku Raja Muda Perlis Tuanku Syed Faizuddin Putra Jamalullail and Raja Puan Muda Perlis Tuanku Lailatul Shahreen Akashah Khalil will be present on the first day of exhibition on 1st June 2016 to officiate the event. 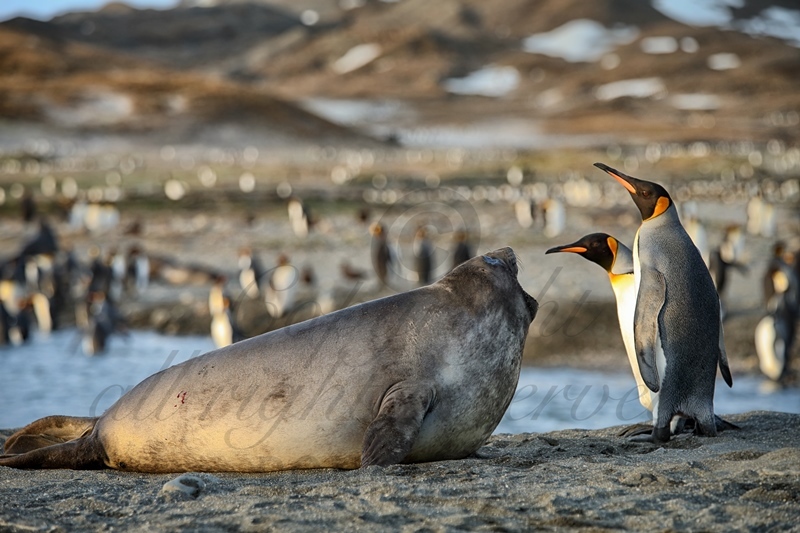 “Despite my friends’ teasing, I’m not actually a chionophile even though I’ve been to both the North and South Poles. My original motivation was very simple; I wanted to see polar bears! 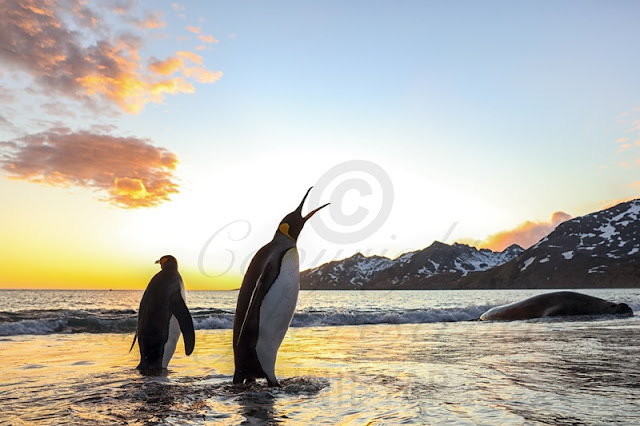 I experienced that in the Artic in 2013, and that inspired me to make a trip to Antartica in 2015. The locations were literally polar opposites; the North Pole had the indigenous eskimos, the South Pole was inhabitable, but both has fiercely beautiful nature and wild life, and that is what I want to share with the Malaysian public,” said Bonnie. “This year, Malaysians experienced the worst heat waves in history. When I was in school, the Geography books told us that Malaysia’s climate is about 27 degrees Celsius. Today, 40 degrees Celsius is staring at us in the face due to the El Nino phenomenon. My trips to the Artic and Antartica opened my eyes to how fragile the environment is. We hear a lot about what global warming has done to the landscape and wildlife there, but until you witness it with your own eyes, it will not feel real to you. As a photographer, I feel that the best thing I can do is to capture through my lens and share what I saw and felt at that moment. I hope that it will motivate and inspire others to think about their actions before they do anything that will be detrimental to the environment,” Bonnie said. 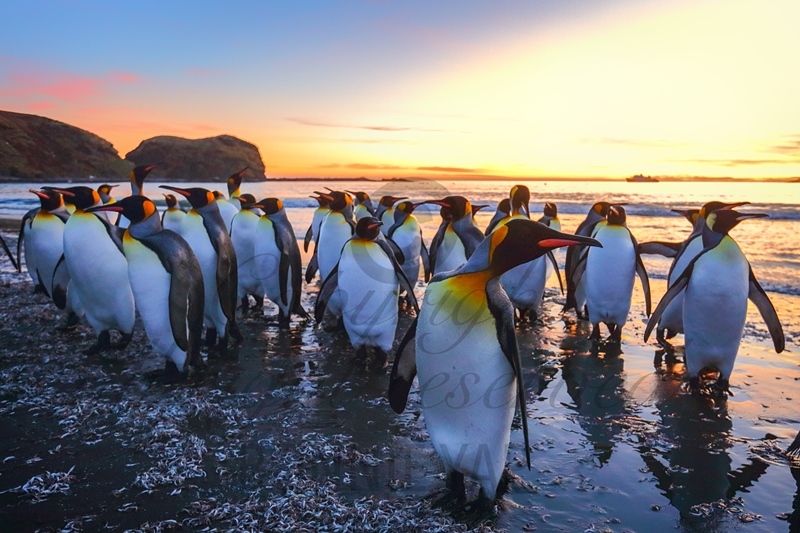 The photos to be exhibited were taken at the South Georgia islands in Falkland, a British overseas territory in Antartica. Bonnie has painstakingly curated the pieces to be exhibited from the thousands of photos taken during her 2-week trip from 7th to 21st November 2015. Visitors will be greeted by the staring eyes of a baby seal, in line with the theme of Watch, Respect, Capture. 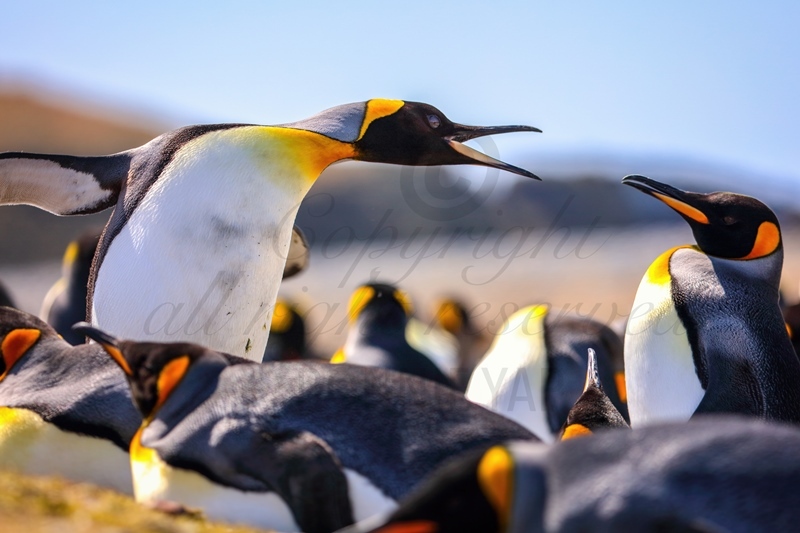 King Penguins having a Argument? “There is no native population on the islands, and the team which took us around were polite but firm about their ground rules. We were not allowed to introduce any foreign objects into the environment, nor take anything away. This meant no food, not even a seed, and the ‘take nothing but photographs, leave nothing but footprints’ policy was strictly adhered to. Our role was to be an observer, to watch the beautiful landscape and wildlife, to respect them, and finally to capture the images for posterity. At the same time, the animals were watching us! I felt the eyes of the baby seal following me everywhere, and that’s why we are using it as one of the key pieces for the exhibition,” Bonnie explained. Bonnie has set a modest goal of RM45,000 from the photo sales this year, which will be donated to Incitement's Liter of Light project, sponsored by Mah Sing Foundation, the charity arm of Mah Sing Group. Liter of Light is an international humanitarian movement bringing renewable light to energy poverty areas. In Malaysia, the project is executed by Incitement, a social business which promotes volunteering and social impact in 43 countries. Mah Sing Foundation has pledged RM100,000 and together with the targeted RM45,000 photos sales from Bonnie, they will be able to light up the lives of 67 Orang Asli families by installing 135 lights.